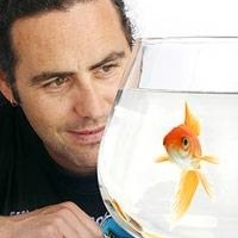 Culum is an Australian Research Fellow, Associate Professor at Macquarie University, Editor for Animal Behaviour and Assistant Editor of the Journal of Fish Biology. For years he has studied the behavioural ecology of fishes with a special interest in learning and memory. Culum did his undergraduate degree at Melbourne University. His Honours and PhD research at the Universtiy of Queensland examined the behavioural ecology of predator avoidance in rainbowfish (Melanotaenia spp). Culum moved to Cambridge University where he worked on social learning in a range of fishes and developed life skills training for hatchery-reared salmonids. A further post-doc at the University of Edinburgh, expanded on his background learning by examining the ecological correlates of cognition in Poeciliid fishes. This work was conducted in collaboration with the Smithsonian Research Insititute in Panama. During this time he developed a guide to the fishes of the pipeline road. In 2006 he moved to Macquarie University on an Australian Research Fellowship. Culum won a young researcher award from Australian Academy of Science in 2007 and Young Tall Poppy Award in 2008. He is now an Associate Professor at Macquarie Uni. Culum was the guest editor of a special issue on learning and memory in fishes in the review journal Fish and Fisheries. This collection of work was later released as a book entitled Fish Cognition and Behavior, published by Blackwell Scientific. The Second Edition now available.